Cocaine is a powerful psychoactive substance that acts as a stimulant when taken. Commonly used as a recreational drug, it is extremely addictive, and most people are taking it are at considerable risk of forming a cocaine addiction after some time. Persons that use the drug tend to do so in social settings and so may find themselves driving while on cocaine, a risky situation that can endanger the driver and their car occupants as well as other road users. 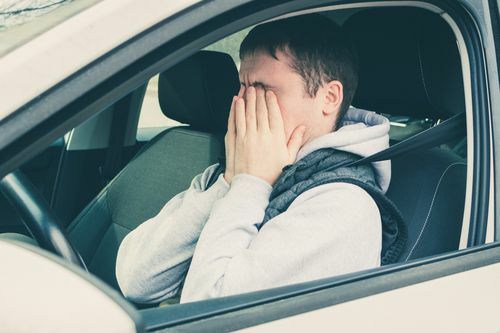 While most drug users may think the drug gives them heightened alertness and quicker reflexes, the reality is that driving while on cocaine changes one’s state of mind leading to greater risk-taking while driving. So, can you drive after taking cocaine? The answer is no, as elaborated below. How Does Cocaine Affect Driving? What are the Dangers of Driving on Cocaine? When a person takes cocaine, the drug immediately crosses the blood-brain barrier and impacts serotonin transmitters that regulate arousal and alertness. When this happens, there is a rapid onset of a high. In this state, the person will get into an energetic state of euphoria, inflated self-esteem, and a general sense of mood elevation. Over speeding: Because risk appetite is increased, the person will increase their driving speed to match their sense of happiness and euphoria. Road rage: This sense of feeling macho and a heightened sense of aggression will incline the person towards acts of road rage. Dangerous lane is changing: As the person feels other motorists are moving too slowly, they will tend to cut in front of other drivers dangerously. Loss of control of the car: High speed coupled with poor concentration can lead to this. As the high wears off, a separate set of symptoms start kicking in that can also lead to poor driving skills and judgment. As most persons that take the drug only consider the upside of taking it, the downside of cocaine use symptoms is equally debilitating. Headaches: Once the drug wears off, the person will experience headaches, and this could lead to poor concentration on the road. Irritability: This can lead to road rage or risky driving behavior. Panic: In some cases, the comedown can come with feelings of anxiety and panic that could lead to dangerous driving decisions. Paranoia: This is perhaps the most dangerous as it can cause the person to perform a certain act, like braking suddenly, which could lead to a fatal accident. Can You Take Cocaine and Drive? If a person has been smoking cocaine or taking it through any of the other intake methods, the last thing they should do is get behind the wheel of a car. 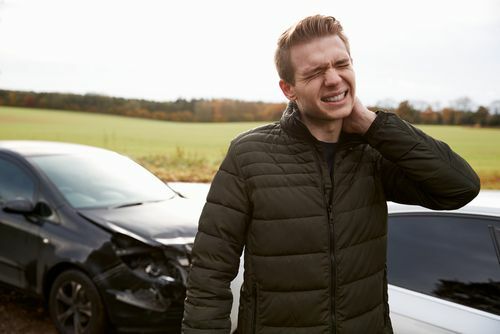 While driving under the influence of any drug is dangerous, cocaine affects the driver by heightened aggression, risk-taking and others that can lead to unsafe driving. When the person is in this state, everyone on the road becomes a target for this aggression. If another driver is driving slower than they are the person will opt to either harass this driver by tailgating them while honking repeatedly or attempt to overtake them and cut them off at the front. In such a scenario, it will take very little for the driver to either cause an accident. In the United States and other countries, driving while under the influence of a drug is an offense punishable by law. If a person is caught driving while on cocaine, their license can be revoked, and other sanctions imposed. This can be thought of as the best-case scenario where nobody got hurt. In the worst-case scenario, driving in such a state can lead to a fatal road crash resulting in the loss of life of the person driving on cocaine, other motorists or both. If the person on coke survives, they may be faced with manslaughter charges that could see them do jail time. The risks associated with taking cocaine and driving are manifold and as such anyone contemplating taking the drug should not, under any circumstances, drive a vehicle. There are also other dangers associated with taking cocaine like getting cocaine overdose symptoms. While it is hard to estimate the exact number of accidents caused by persons driving on cocaine alone, accidents caused drivers on non-alcohol illicit drugs account for 16% of all motor accidents. This represents 1,680 deaths per year. Also, as most persons use cocaine and alcohol together, the cocaine tends to suppress the feeling of inebriation, leading to alcohol-related accidents. In the US, drunk driving deaths account for 28% of all motoring accidents. This is the loss of 10,497 lives each year because of impaired persons getting behind the wheel to drive. How may the use of cocaine affect driving? In short, its effects on the brain make the person unable to act and react in tandem with the rest of motorists, a recipe for disaster. Taking drugs and driving is not only illegal but also extremely dangerous. While most people feel like the drug gives more control, the truth is any psychotropic drug destabilizes normal brain functions making it impossible to act as one would normally act in a situation. There is hope, however, for persons hooked to the drug as cocaine addiction treatment is both effective and readily available. With treatment, the dangers of driving while on the drug can be avoided altogether.